I’ve teamed up with my blogger friends to bring you a giveaway with an amazing prize for one lucky reader! 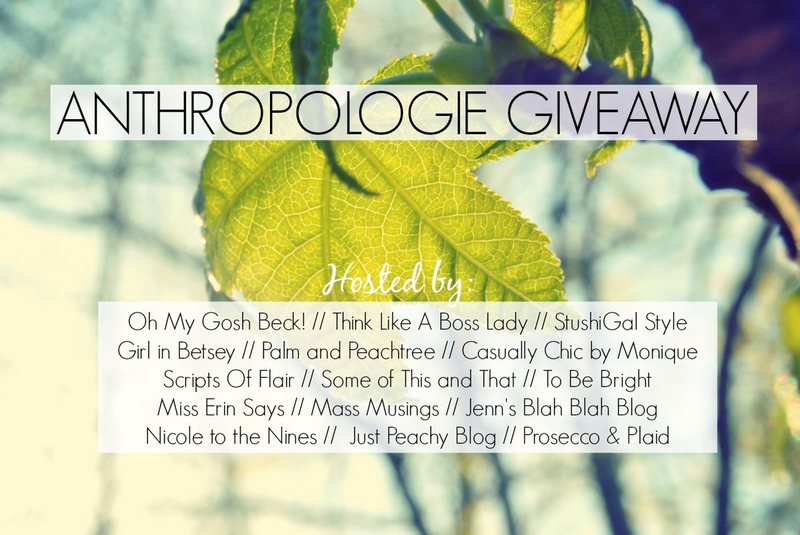 We’re giving away a gift card to one of our favorite stores — Anthropologie! The lucky winner will win a $300 Anthropologie gift card just in time for some fall shopping… and it just might be you. Rules: Use the Rafflecopter form to enter daily. Giveaway ends 9/30 and is open worldwide. Previous Post: « How to Spookify Your Selfies for Halloween! The cooler weather, college football and tailgate parties! I am most looking forward to the crisp cooler weather! I’m most looking forward to Halloween! I am most looking forward to the falling leaves. I am looking forward to moving soon! I also love the cooler weather. I am most looking forward to fall food. I love making pumpkin cookies and lots of soups. I’m looking forward to the cooler weather and seeing the leaves change colors. I am looking forward to cooler weather, gentle rains, the fall leaf changes and hot chocolate..
Pumpkin spice everything and cool, crisp weather! I’m looking forward to taking my daughter trick or treating. I absolutely love the way fall smells! I also can’t wait for sweater/scarf weather. Boots too. I am most looking forward to halloween!!! !